In my app a user should have the ability to place from 1 to 10 draggable objects in an area, and also reposition them. The problem is that the object should keep their positions next time when the app will open. 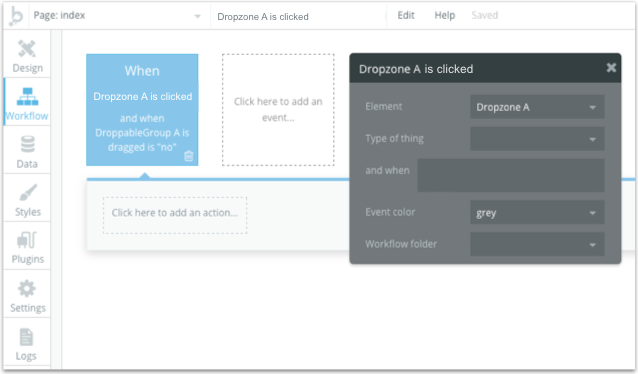 For this purpose I am using a Dropzone that will cover most of the screen and a DraggableGroup. 1.) Store x,y coordinates in Database when click on the Dropzone area. 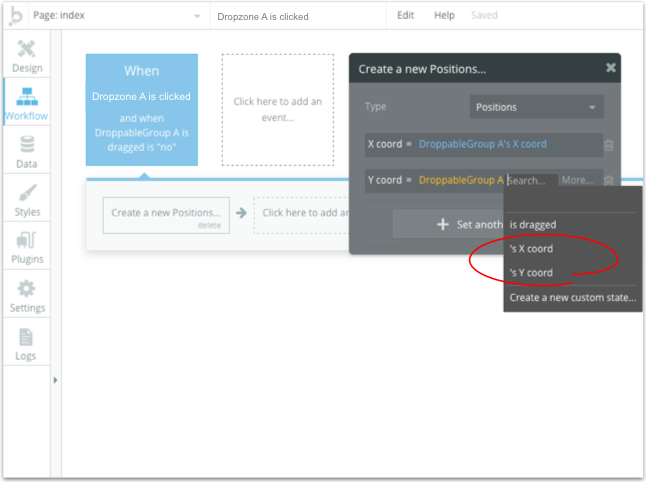 Create a new Type, in my example “Positions” / Set a field to store X coordinate and from the dropdown list select DroppableGroup A. 2.) Move the DraggableGroup to its new position. 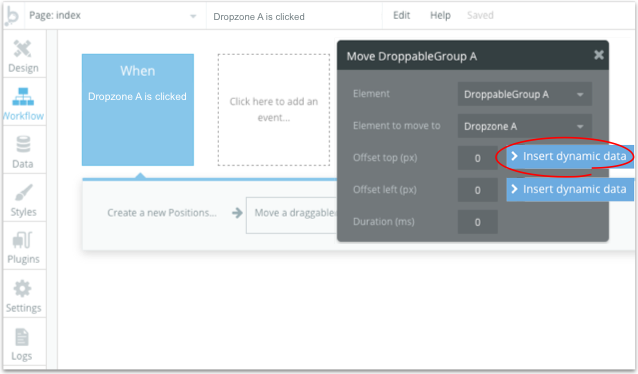 Add an action from Element Actions / Move a draggable group. 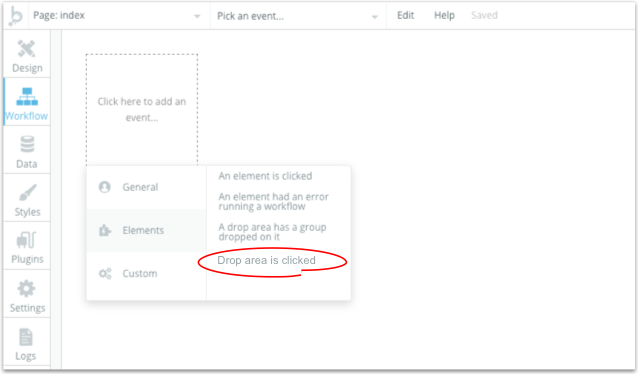 After that we can create a new event for when Page is loaded, with the same properties as above to keep the new positions for the draggable objects next time when the app will be opened. Probably there is a better solution to solve this problem, but whatever that will be it will help me very much in developing my app. So please add this feature, if you think it’s possible and if it doesn’t involve much too work from your side. That would be a great addition. And if dynamic values for the draggable element height/width could also be implemented, we could have basic graphic capabilities up and running. And if users could be allowed to create them dynamically, it would be even better. In my case I’m thinking about users being able to create a scheme/drawing of their premises and show the IoT devices on there with relevant stats… That would be sooo great! I need to implement these kind of functionality for one of my upcoming plugin, have you guys already done this functionalities earlier? 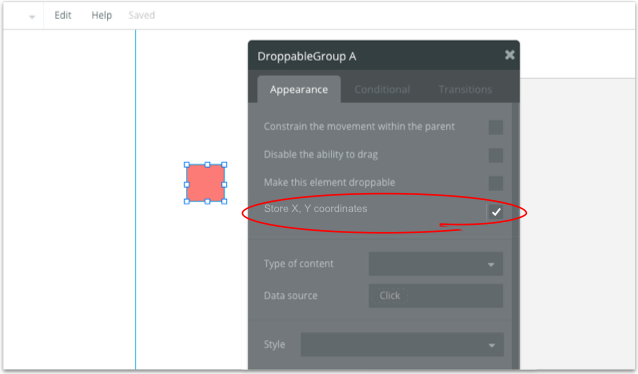 I am very interested in finding a way to save the coordinates of a drag/drop group after it is dropped in a dropzone…I think it would really help out with various features of peoples apps.